Motorcycles are much smaller, lighter and accelerate and brake much faster than the average car. Movements made by motorcycles may be more abrupt as they require less time and space to stop. Due to their smaller size, turn signals may not be as obvious as they are on other vehicles. If you notice a rider slowing their speed or shifting lane position they may be downshifting and/or preparing for an upcoming turn. Motorcycle riders are unprotected and very vulnerable if a collision were to occur. Motorcyclists don’t have the benefit of standard safety equipment found in our vehicles such as airbags and seatbelts. The only protective gear they have is what they are wearing at the time. Some riders wear protective clothing such as riding jackets with elbow, shoulder and chest pads whereas other riders are less cautious and may be wearing only a T-shirt and jeans. Due to these factors it’s required we give motorcycles extra space on our roadways. In cities and towns, we should allow a minimum 3 second following distance. On higher speed roadways such as freeways we should allow motorcycles at least 4 seconds of following distance. This extra space will allow us as drivers to have more time to react to any possible hazards. Newer riders or riders experiencing mechanical malfunctions may stall at intersections. Be sure to give extra space when stopped behind motorcycles as riders may not always take off as quickly as you expect them to. Motorcyclists have the same rights and responsibilities on the roadway as any other vehicle. Ensure your interactions with them are consistent with everyday rules and responsibilities. Adjusting your driving behaviour to accommodate a motorcyclist in a manner that is inconsistent with regular driving rules and regulations could put the rider in more with danger with other road users who would be following standard road procedures. Stop behind motorcycles at intersections, don’t drive up beside them in the same lane. Try to make eye contact with a rider to confirm movements such as those required at a 4 way stop. Scan to the left for any traffic potentially running a red light or pedestrains trying to hurry across the street. Scan ahead of you looking for anyone turning left and ensuring you have space to enter and clear the intersection. Scan to the right looking for any vehicels that might be attempting to turn right or for any pedestrians crossing the street. Laslty we want to check our rearview mirror for traffic behind us to gauge how much space is behind us. This scanning procedure is a basic procedure for all road users anytime they approach an intersection. While doing this scan ensure you are looking for ALL types of road users and not just cars, trucks and SUV’s. Make sure you are keeping up with other observations such as shoulders checks, as well. Motorcycles are prone to be hidden in your blind-spot areas due to their smaller size. It is the duty of a rider to put themselves in a position to see and be seen by other road users. Motorcycle riders have 3 lane positions they may ride in. The preferred travel positions are #1 and #3. 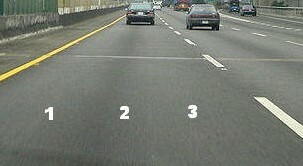 When two lanes of traffic are traveling in the same direction, motorcyclists will position themselves closest to the white centre line that divides traffic (position #3 above). This provides the most visibility for the rider and other road users. The rider is visible to the vehicle in front in their rearview and right side mirror. Likewise, drivers in the right lane in front of the motorcycle would be able to see them in their left side mirror and traffic behind the motorcycle would be able to see the rider as they approached. If the motorcyclist was travelling in the lane to the right- their dominant lane position would be #1, for the same reasons. A rider’s lane position will change depending on the lane they are in. On a single-lane roadway, motorcyclists will position themselves closest to the yellow centre line that divides traffic travelling in opposite directions. This position ensures traffic travelling in the opposite direction can see the motorcycle approaching. Motorcyclists are only visible to the vehicle they are following in their rear-view mirror. The motorcycle would be in the blind spot of vehicles ahead of them in the adjacent lane. Approaching vehicles in the adjacent lane would not be able to see motorcyclists until they past the vehicle following the motorcycle. If motorcyclists are traveling in lane position #2 they could be inexperienced riders, temporarily riding in the lane to avoid other hazards, or simply unaware of their lack of visibility. Lane splitting is when motorcycle riders travel in-between other road users and lanes. Lane splitting is illegal in BC and most of Canada but is legal in other countries. As we’ve discussed, motorcycle riders follow the same rules and responsibilities as other vehicles. 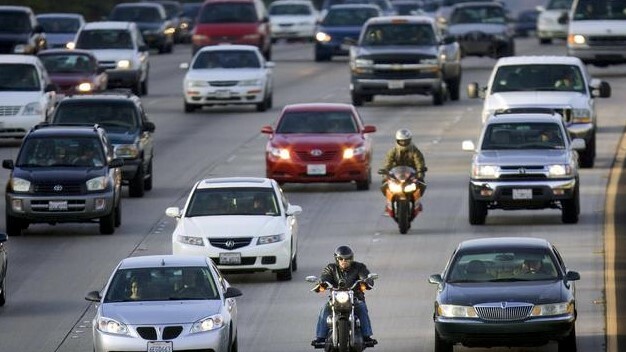 Lane splitting is extremely dangerous as riders may not be fully visible to other road users. They may also surprise other road users if they are somewhere they shouldn’t be. Riders in BC should be aware that lane splitting is illegal and dangerous, however some riders may still choose to lane split. 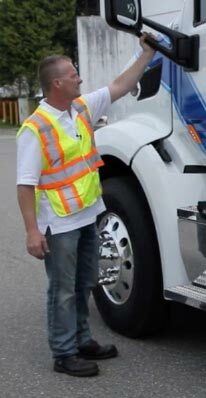 As drivers we want to ensure we are checking our mirrors every 5-8 seconds for hazards such as a lane splitting rider. All drivers need to be 100% concentrated on driving by remaining attentive behind the wheel. Some motorcycles are big, loud, and hard to miss, while others are small and almost silent requiring more attention. Concentrating on driving is key to making good choices that can positively impact other drivers around you. Poor weather plays a significant role on the effectiveness of motorcycle handling and braking than it does for a car, van or truck. Vehicles have four points of contact with the road, while bikes only have two. When following a rider in poor weather conditions ensure you leave more space as they are more prone to slips and hydroplaning. Weather can also reduce visibility, potentially causing bikes to be difficult to see as they are smaller and not as well illuminated as other vehicles. Debris on the road way such as gravel and fallen leaves may not be as hazardous for cars, trucks and SUV’s but it could be game-over for motorcycle riders. Motorcycle tires are usually narrower and have less tread. Be aware that riders will slow their speed in these conditions (especially around turns and curves) and will also require more space. 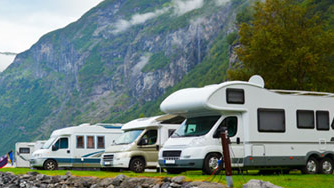 With the rise in fuel costs, limited parking options and high insurance rates people are looking for more affordable options. Motorcycles provide a cost saving alternative to gas-guzzling vehicles that require a lot of space to park! Not to mention, riding a motorcycle is highly enjoyable and fun! They best way to keep all road users safe is to be AWARE! Don’t take driving for granted and always be on the lookout for motorcycles. Who knows, maybe one day you’ll take on the exciting challenge of riding a motorcycle, and we will be there to help with our Motorcycle Training Programs!